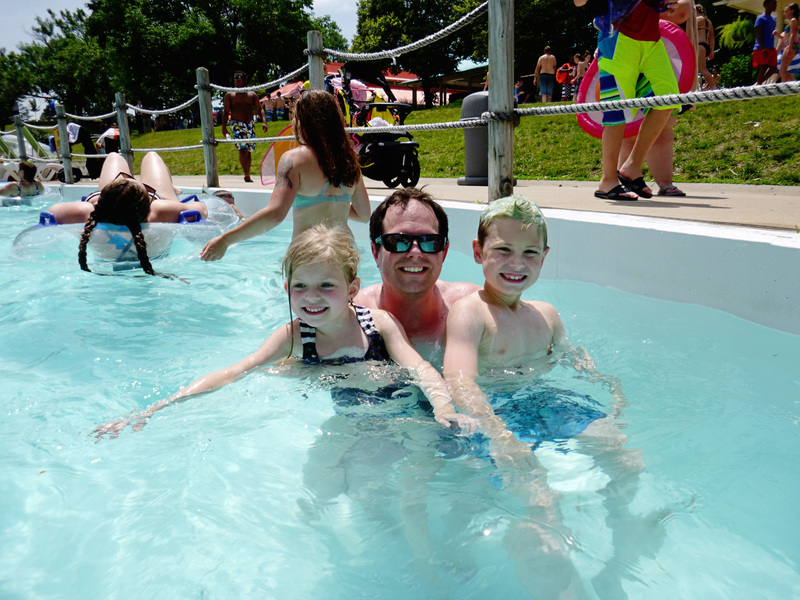 Father’s Day weekend in Kansas City can only mean one thing for our family, Oceans of Fun and Worlds of Fun! 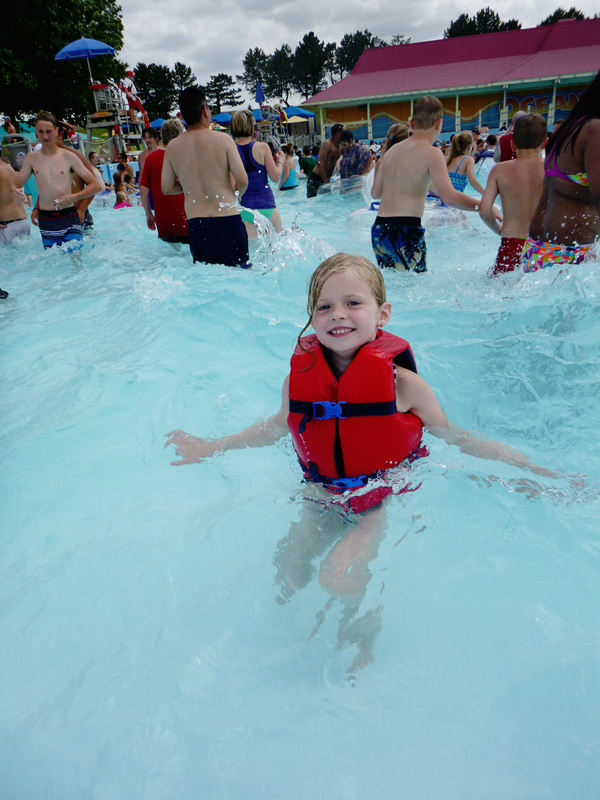 With younger kids or older kids, there are tons of fun to be had at both parks. 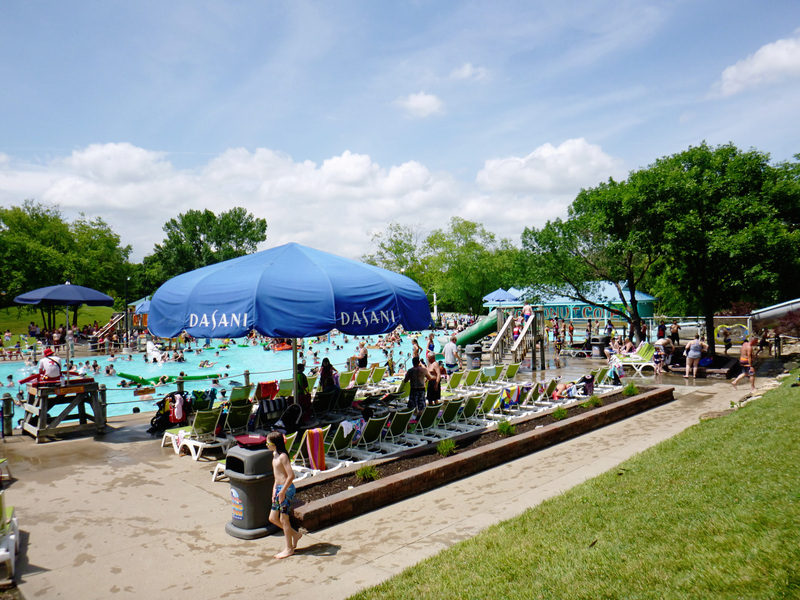 In years past, we have visited Oceans of Fun and enjoyed some of the best water kiddie areas in town. My children love slides, but were scared of heights and going “too fast”. With so many slide options, we were able to start with slower slides and work our way up to more fun! This year, we are not only celebrating our daddy, we are celebrating our children for graduating swim classes! Being able to swim has opened up so many new doors for my kids. They swam freely through the Caribbean Cooler, my older boy went down the Aruba Tuba with daddy and my little girl got to enjoy new things as well! 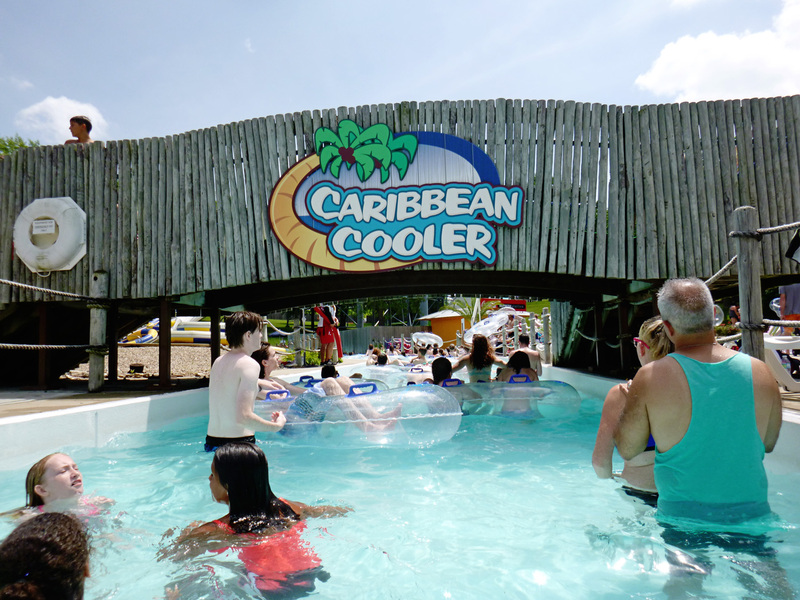 Both of my kids call the Caribbean Cooler a “lazy river”, as that is exactly what it is. 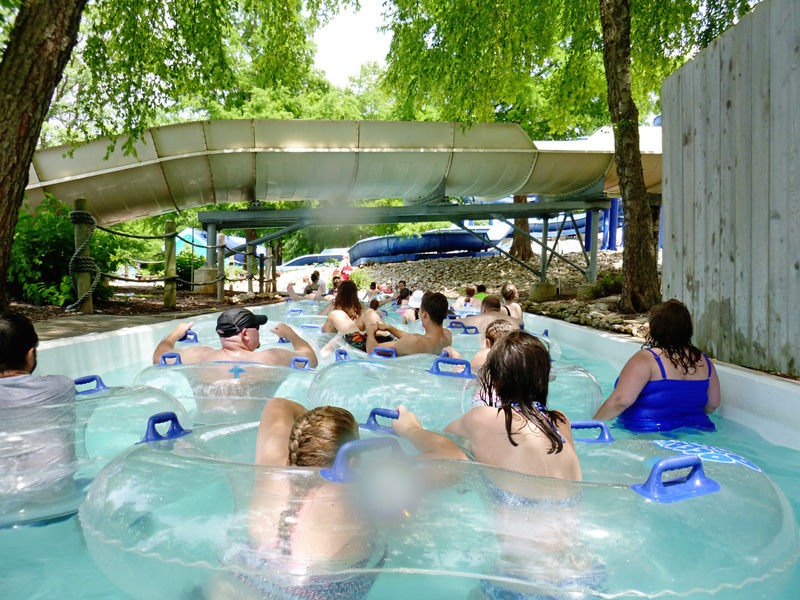 With water just deep enough to walk or float, you can swim with the current or relax on a tube and enjoy the suns rays. As for my kids, they practiced their swim strokes while creating an obstacle course with the inner tubes. The Surf City Wave Pool is a huge swimming pool full of over one million gallons of water. Think of the ocean, contained into a swimming pool with waves crashing in every 10 minutes. It was a blast! We definitely wore life jackets for this area. The zero depth entry allows you to walk right in and the waves will carry you right out into the pool. So many giggles and memories were made here! 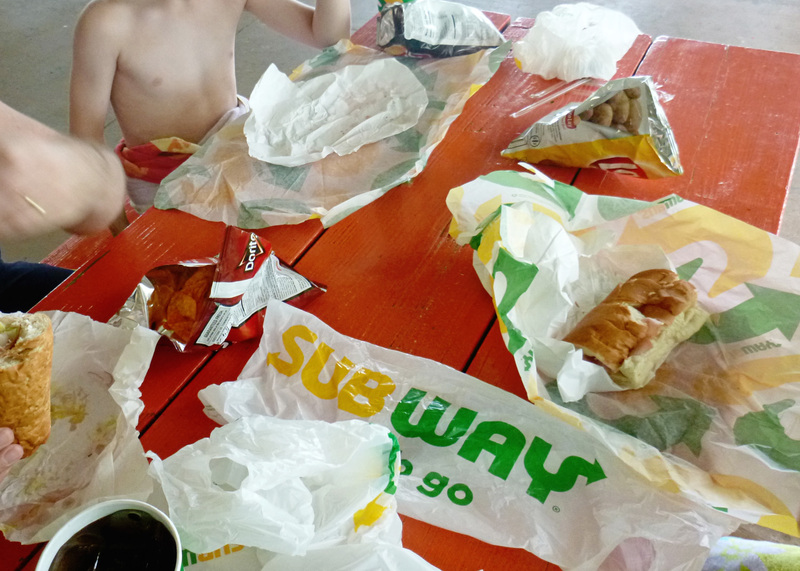 Since it was Father’s Day, we made it a full day at the park and included a meal with our adventure. This was a great time to sit down with the family and talk about our day, the things we loved and the things we still wanted to do. Be sure to see my video below with our little chat! The park was really crowded for Father’s Day and we didn’t really expect anything otherwise. However, the community was very pleasant to be around, there was seating almost everywhere we went and even with a crowd, the kids had a blast trying all of the new “to them” attractions. 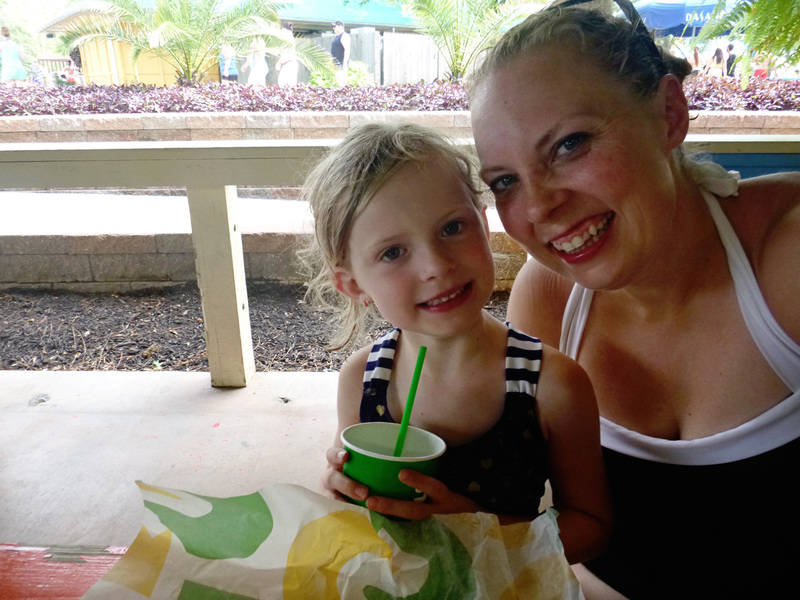 I had a chance to interview the kids during our dinner.. see their responses to my questions about Father’s Day and their favorite things to do! My husband is a roller coaster enthusiast and travels all over the states to visit Cedar Fair parks. 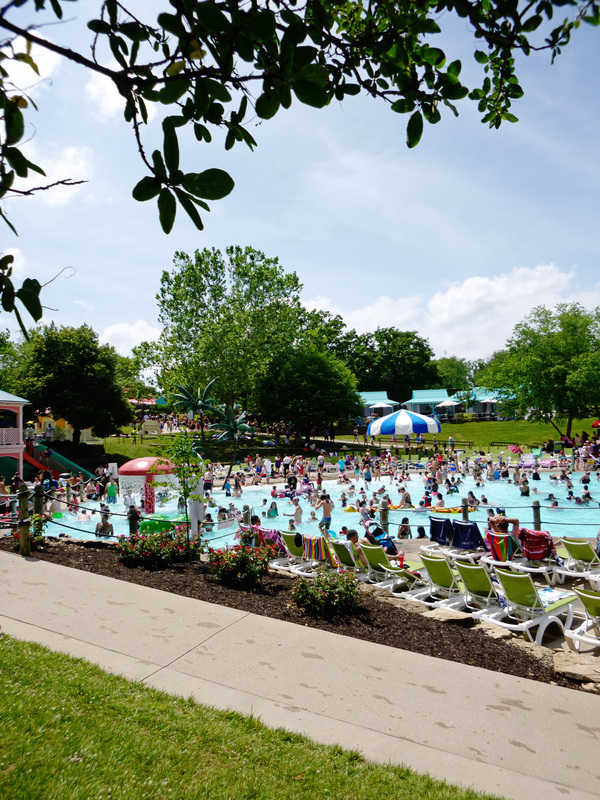 We love that we have Worlds of Fun and Oceans of Fun right in our backyard, making this a memorable Father’s Day for both my husband and the kids. 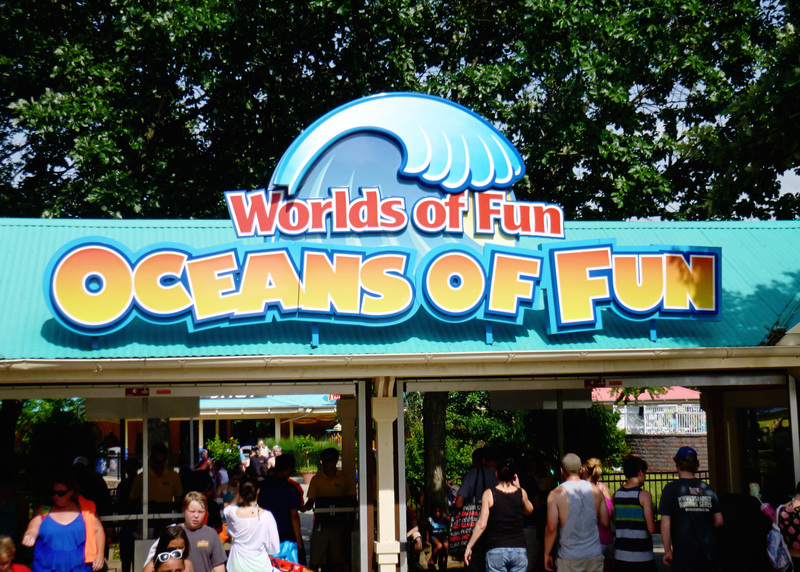 Disclosure : Oceans of Fun sponsored our visit to the park, however; all thoughts, opinions and love for Oceans of Fun is my own!